WEIRD! It's those hot pink Zara sandals again. Making yet another appearance in an outfit this week (see Tuesday's post HERE). After the wedding in Salem, MA on Friday night, we spent part of Saturday morning/afternoon brunching and shopping. It was insanely humid that day so comfortable clothing was a must. It's also a must if you plan to indulge in a 2 lb. strawberry and nutella crepe... which I definitely did not do. Hi guys! Happy TUESDAY! How was your long weekend? Mine was the perfect mix of social outings and relaxing at home and on the beach. We really lucked out with the weather up here. I have a sweet sunburned nose to prove it too! I wore this outfit to meet some friends out Saturday night. It was so humid I had to break out the mousse and embrace my crazy part wavy, part mind-of-its-own hair. It was the perfect night to spend down by the Seaport District and now that I've gotten a taste of summer, I can't wait to see what the next few months bring me. Just a quick post today to share my latest shots from Instagram (@LsFashionDish). Besides being THE busiest week I've had in a long time, I decided to revamp my workout schedule and head to the gym before work. If you know me, you know what a big accomplishment that is. So needless to say I'm a tad exhausted. Lately I've been seeing lace dresses everywhere. Well, let me rephrase: lately I've been seeing cute lace dresses everywhere. And though I've yet to purchase one, I've narrowed it down to three options, pictured above. First we have the Neon Lace Flippy Dress from Topshop. If I was looking to kill two trends with one dress, this would be the perfect option. I bet the picture of this dress doesn't do it justice. I can totally envision myself wearing this for a girls night out, dancing the night away with my favorite girls. Plus at $92, the price point isn't bad. Moving onto the next option, we have the Lucille Dress from J.Crew. I love the classic and flattering shape of this one and know that I would get a ton of use out of it. I like the yellow version but the navy is so chic and could be worn into the fall as well. It's ideal for weddings, cocktail parties, and even days at the office. For $188, price per wear would make this dress 100% worth it. Last but not least we have the Katya Lace Dress by Tibi. Oh, Tibi [insert exaggerated sigh here]. Why is everything I adore in this world made by you and therefore just out of my price range? The classic shape and beautiful cobalt blue color make me weak in the knees for this dress. The lace is so feminine and pretty. I've been known to justify worse purchases so maybe, just maybe this dress will make its way to my closet. Would you wear a lace dress like these? If you were me, which one would you buy? With all the rain and cold weather we've been having here in Boston this past week, it's hard to believe summer is supposed to be right around the corner. True to New England weather, we catch a glimpse of warmth and then it disappears as quickly as it came. The only thing that keeps me in good spirits during these transitional weeks and months, is daydreaming about picnics in the park, days at the beach, weekend getaways, and shopping. Always shopping. Though my wishlist for summer is fairly extensive, one thing at the very top of my list is a new pair of shades. 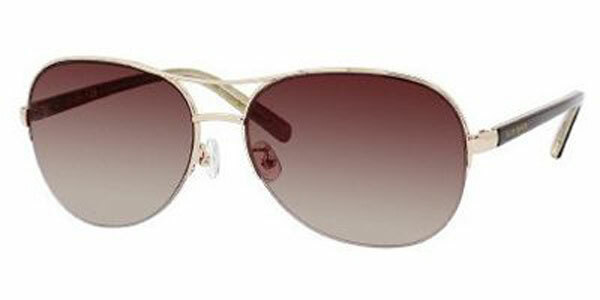 Specifically this gorgeous pair of Kate Spade Aviator Sunglasses. And how cool is this: at SmartBuyGlasses, they have a totally useful 3D Try-on tool so you can see what the glasses look like on you before buying them! Simply upload your picture and choose the glasses you want to try on. Are you in the market for a new pair of designer shades or glasses? Be sure to check out SmartBuyGlasses! This trend has been splattered all over the runways and magazines for months. Well years, really, but it's made an especially big splash in the fashion world as of late. The problem is that what works on the runway doesn't necessary translate into real life. Throwing any two (or three) patterns together does not an outfit make. Write that down. For me, having similar colors in both pieces is an absolute must. While I loved Refinery29's mixed pattern tutorial featuring the leopard cardi and polka dot tunic, it doesn't follow my aforementioned rule. Therefore I would never feel comfortable pulling it off. The second outfit is right up my alley. Fun and practical (in mixing pattern terms, of course) and I might even be able to rock them at the office. Which is always a plus. The third is very close to what Annie from The Other Side of Gray is wearing today. I love how she paired the floral cardigan with the bold stripes. It works (and well, might I add) because it's balanced and anchored down by simple but cute skinny black jeans. What are your thoughts on this trend? Would you wear outfits like these or do you think they evoke too much of a "hot mess" vibe? The most important person in a girl's life is, more often than not, her mother. That statement certainly applies to me. My mother is the strongest person I know and I'm so happy to be able to call her one of my best friends. I hope to one day be half the person she is! So ladies, do something special for your mother (or mother figure) this weekend. Show her how much she means to you. And look fabulous while doing so! Both outfits are on-trend without being too "out there". I love the feminine shape of the Milly dress paired with a classic pump. And the J.Crew dress is in this season's hottest color. I styled it with the Zara pump to give the outfit a fun twist.